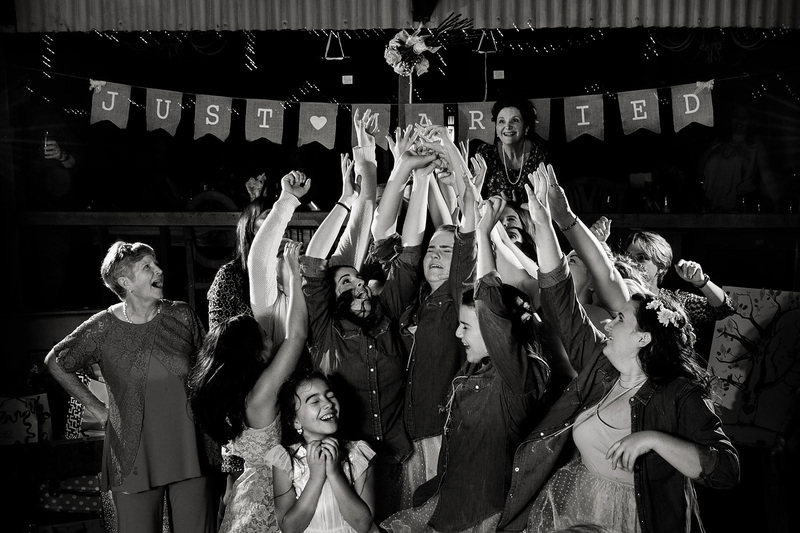 Planning a wedding is exciting and stressful and overwhelming and a bit like being on a giant roller-coaster right? One minute you are getting giddy about dresses and the next you are plutzing about the price of everything! When you’re freaking out remind yourself that all of your most favourite people will be joining you and your chosen one to witness and celebrate your union. You will be held in love and everything is going to be OK! But I also need to warn you that a wedding day goes so incredibly quickly! It’s almost like the minute you put those fancy shoes on, time speeds up and suddenly you’re gliding along the dance-floor and it’s nearly over! 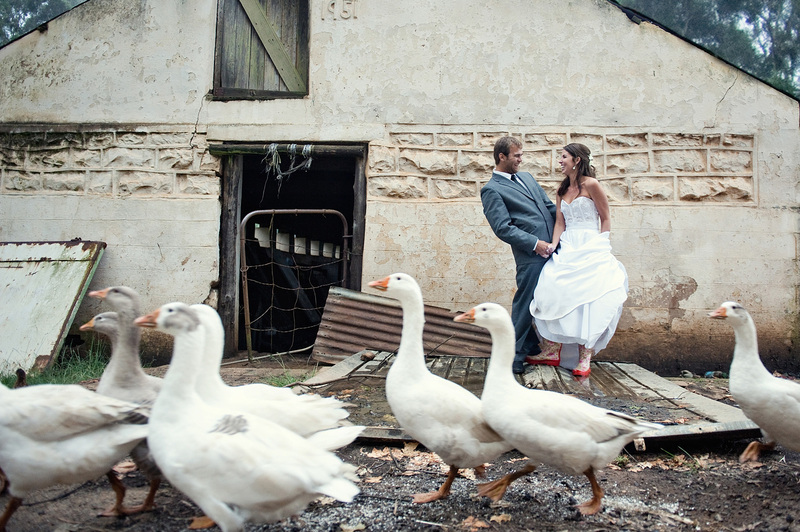 The way that you structure your wedding day is all about your priorities. If having beautiful photographs to remember your wedding is important to you then you will need to invest some time and money into making that happen. I personally love photographs that take me back to a feeling, that’s where the magic lies for me. 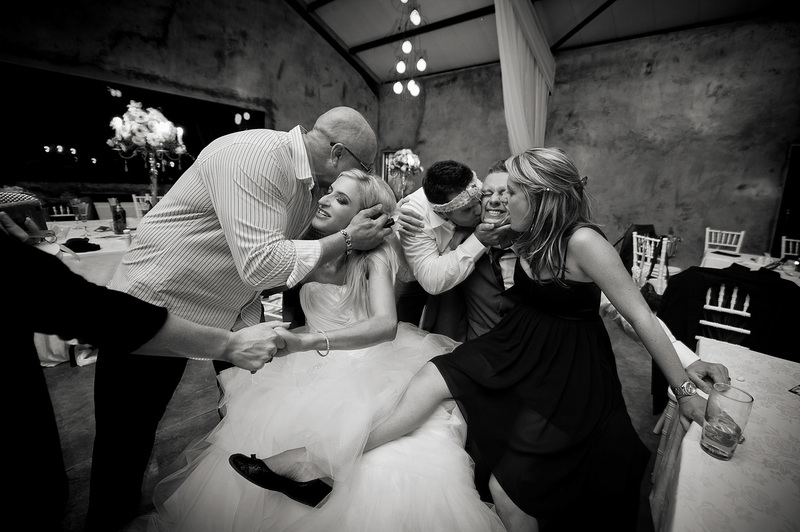 There are many wedding photographers out there but not many have the skill to capture emotion! This is what I strive to do every time I pick up a camera. 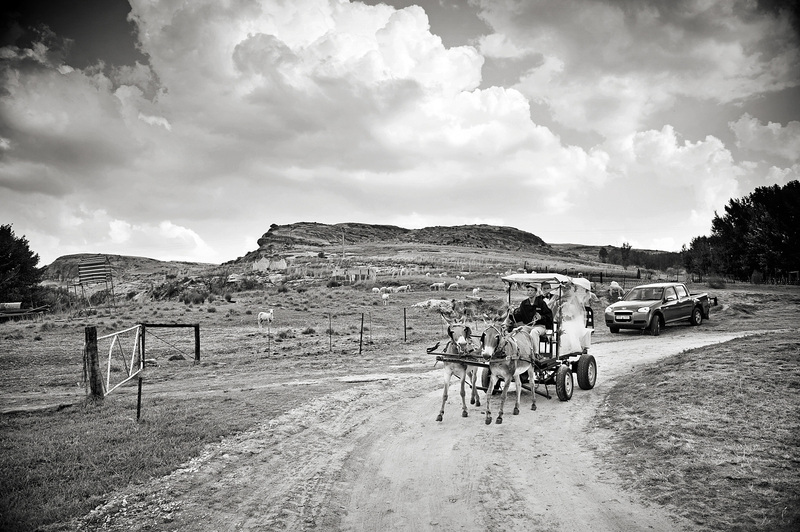 I want to make timeless images that will take you back to the way that you felt whenever your page through your album. I don’t just take pictures of your shoes and of the flowers, although I most definitely do take lots of details shots. For me the beautiful moments are the in between moments. The look on your Dad’s face as he sees you for the first time, Granny beaming with pride, the moment when you see your friend who’s come out especially from Europe for the wedding, the kids being silly and most importantly the way that you and your new spouse look at each other. Those moment are priceless! Fashions come and go but these will never date as they are real! 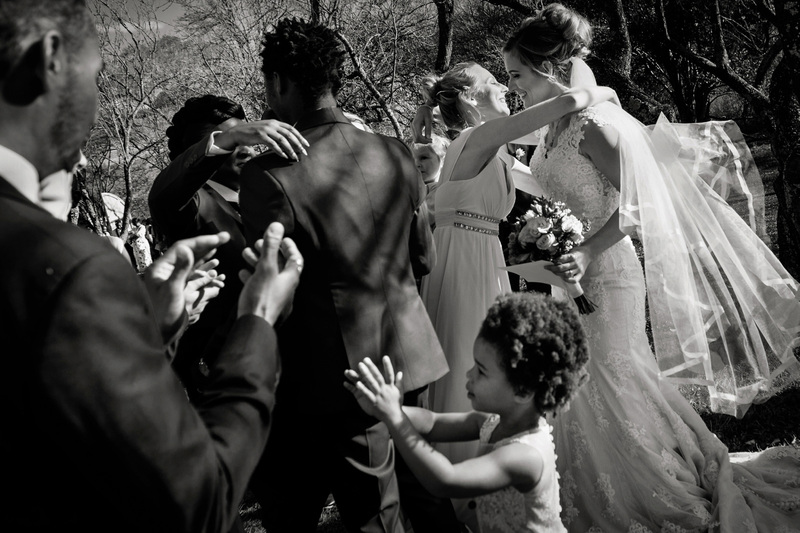 Besides choosing a great wedding photographer there are things that you can do yourself to get great wedding pics, or at least help your photographer along the way. So today I offer you the best advice that I can possibly give. Please note that this post is about me giving you all MY advice …. I am sure other photographers have different ways of doing things. There is no wrong or right way, and these tips are based on my experience and approach. I need to mention that certain styles of photography will require more time from you than others. If I was your photographer and you wanted purely documentary, photo-journalist style of imagery then I would capture things as they unfold and I wouldn’t direct you at all, and this means I would go with the flow. However if you would like some beautiful portraits of you all made up in your outfits then we would need to allocate some time for that hopefully in great light! I chat alot to my couples beforehand to work out what their priorities are and I will adapt the way that I shoot accordingly. Some couples want mainly unscripted photojournalism whilst some want a bit of everything. 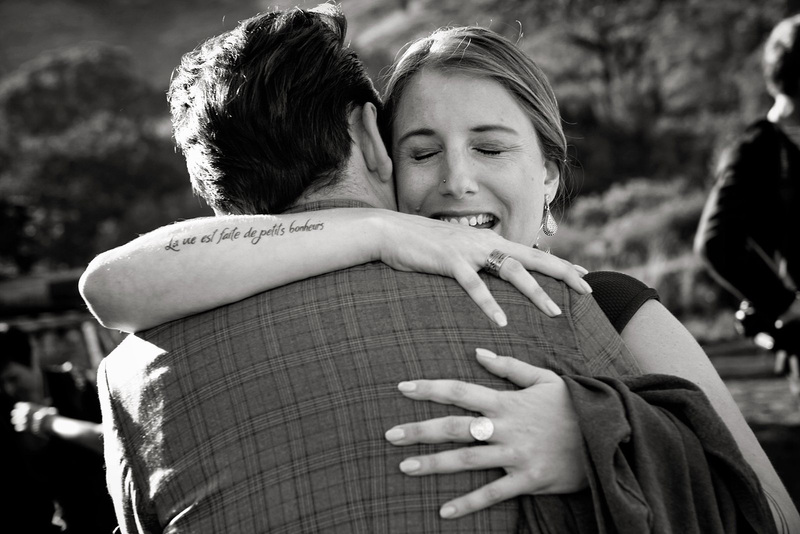 First things first ….. you want to plan your day so that your couple portraits are done in the best light possible. The best light for photography is either early morning or late afternoon when the sun is close to the horizon. Some couples just want a few pics of themselves others want to include the whole bridal party which always takes longer. Creative shoots are usually 45 minutes to an hour and a half depending on your expectations and how many people are involved. 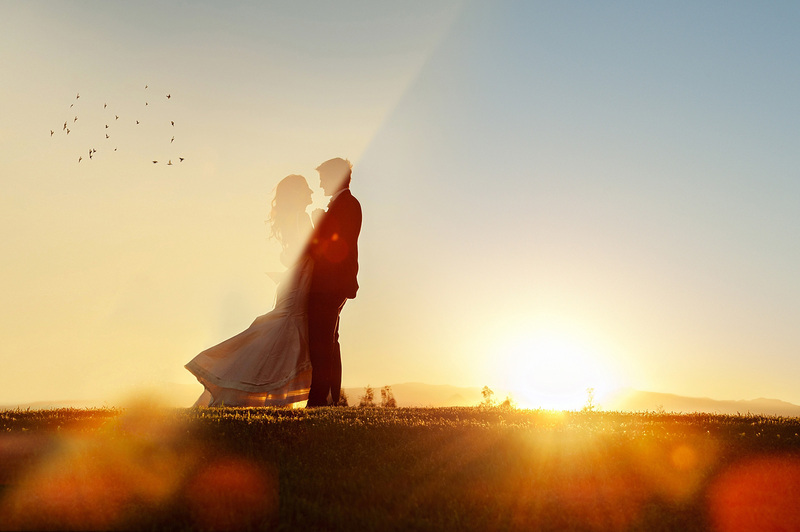 Start planning your wedding schedule by having a look at what time the sun goes down on your wedding day and work backwards and forwards from there. Be sure to discuss this with your photographer. Here is an example of how I would structure the day for my middle and higher package in Durban in March at wedding where there isn’t lots of driving between destinations: (you can see my “no rushing” policy here) This would be for a couple who wanted both documentary images and portraits. 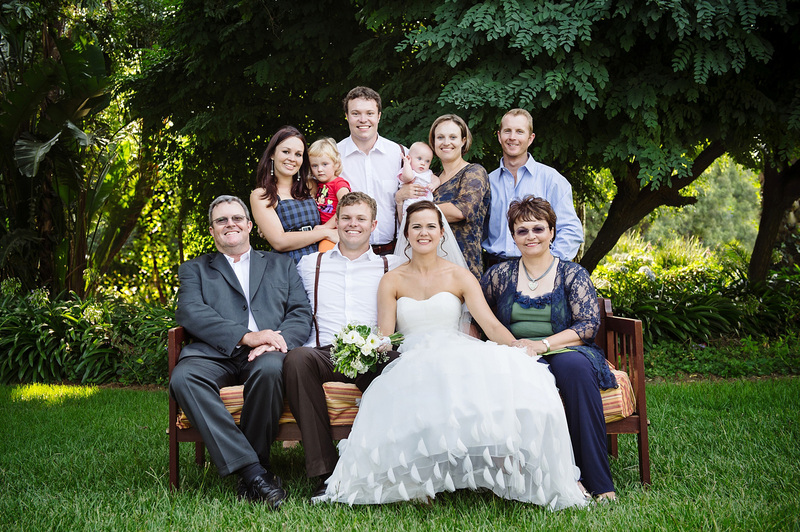 4.40: Family formal pics – this can take alot longer if you aren’t organised! 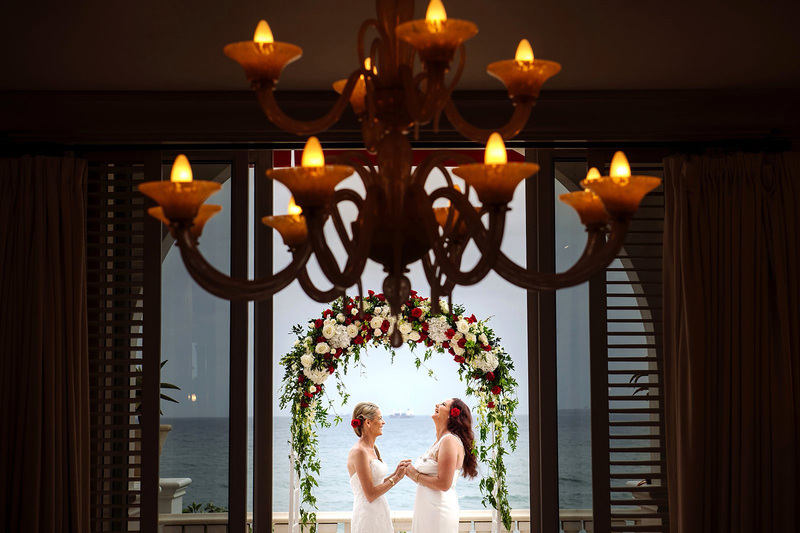 Every wedding would have to have a different timeline as you have to take into account distances to be traveled between venues, what time of year it is for the light, whether the bride’s dress is a complicated dress to get on, whether the venue can in fact have your tables ready by midday, etc. I know this sounds awfully structured but with weddings if just one thing runs late it can really throw everything out, so a good timeline makes for a more relaxed wedding day. I have seen brides crying their eyes out with newly applied make-up running down their face as they were late and felt stressed. 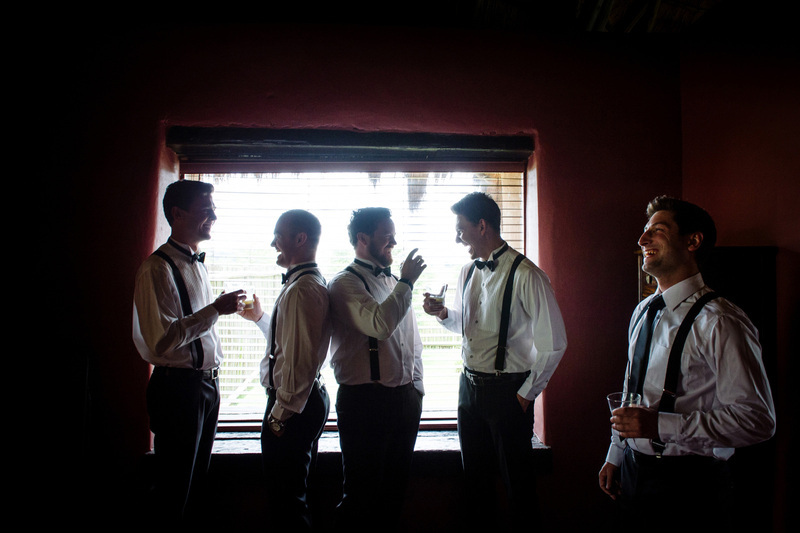 If you’re into portraits, it’s great to get photos of the groom and groomsmen in their fancy outfits out of the way before the ceremony , so that you have less to do during the the creative shoot. This will also mean that you wont have to be away from your guests for hours. I would advise that they get into their suits or whatever it is that they will be wearing for the shoot and then take them afterwards off so as to prevent sweaty armpit syndrome. The more portraits you get done before the ceremony the less there will be to do after the ceremony. Does your man want pics of his shoes and watch and belt??? In my experience most guys couldn’t give a dam about these things but if this is important to you make sure you tell our photographer beforehand. If the guys are going to have a pre-wedding drink it is best to not to overindulge as drunken wedding speeches are a bit sad!!! 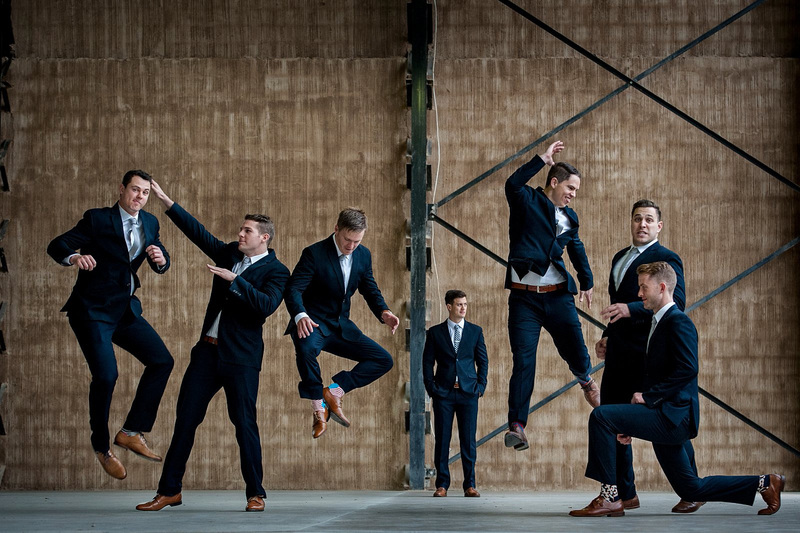 If you have a second shooter then they could photograph the groom and groomsmen at the same time as the main shooter is photographing the bride. In order for a photographer to really capture all the little details of your décor (as you have no doubt spent hours and days and months planning) they need to get into your venue before the guests arrive. Once the guests have sat down it is really too late as they tend to move things around and clutter the background. In my experience the best time to photograph the tables is in between photographing the groomsmen and the bridal preparation. 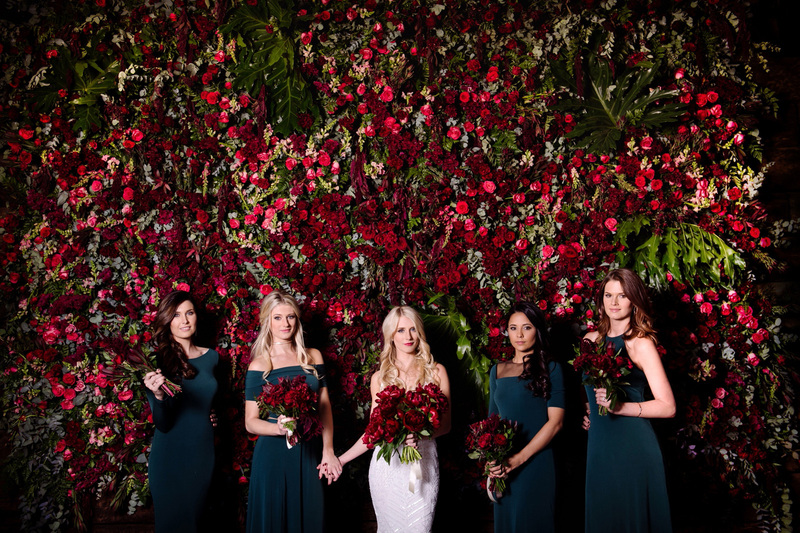 This means that you need to ensure that your florist, wedding planner, and venue are completely set up a good few hours before your actual wedding service. If this cannot be done ask the venue to at least have one table ready for the photographer. Alternatively the decor details could be photographed after the service. The best advice I can give here is to ensure that you get ready in a big, light, airy space, which isn’t full of clutter and mess. If you can afford it, treat yourself to a great hotel room. It is your big day after all and getting ready in an opulent setting only makes for nicer pics. As I said before, light and space is the key here (and no plastic packets and mess in the background!!) That includes cellphones charging, extension cords, and any other unphotogenic clutter etc. Ask your maid of honor to take charge of this. 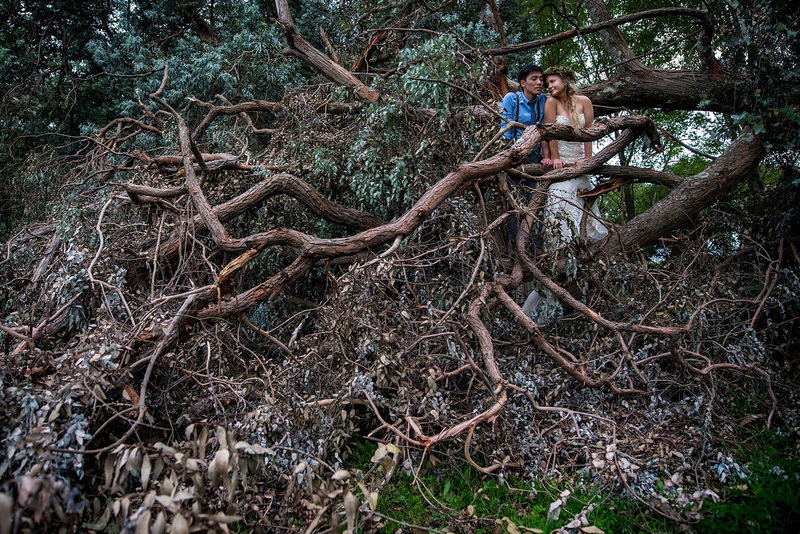 You don’t want to be tidying on your big day. 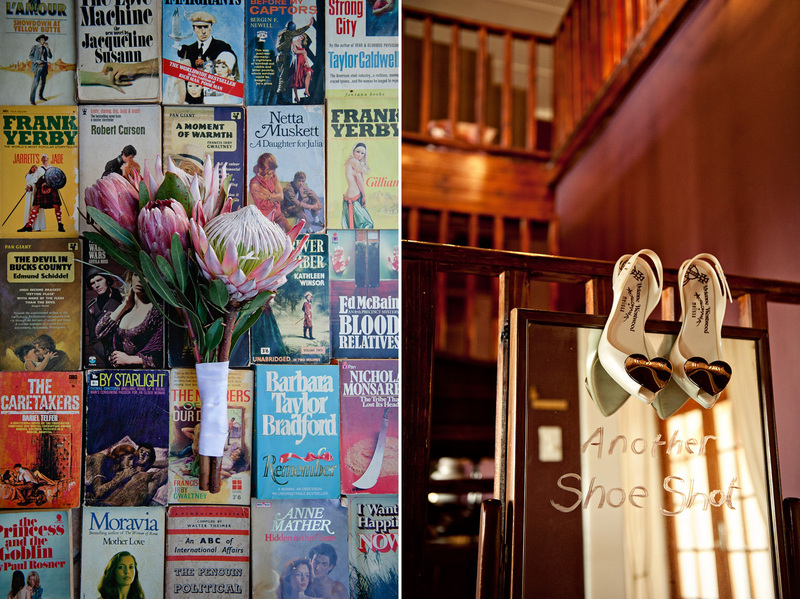 It would also be a bonus if there are some lovely areas around your bridal suite where you can have some portraits done. Probably best not to go out in the blazing sun so lovely indoor areas or shaded outdoor areas should be sufficient. 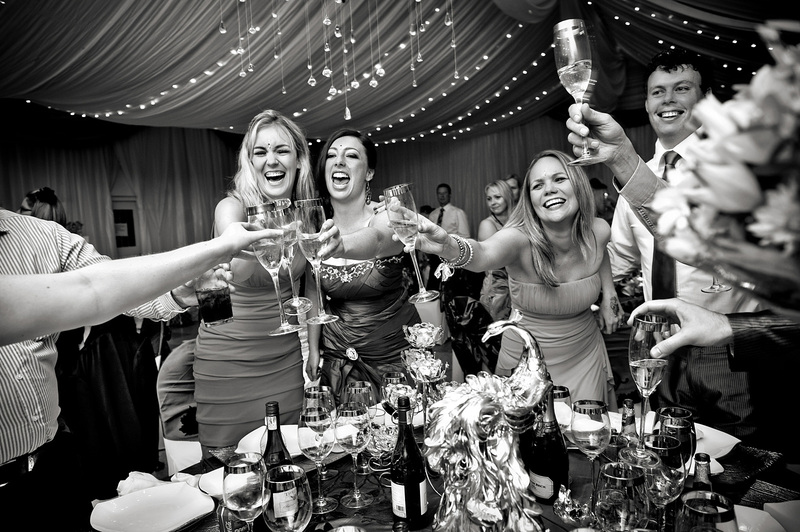 Make sure that you don’t drink too much champers before the wedding as it can make the skin go blotchy (and lets face it no one loves a tanked bride!!). Also ensure that you don’t have a facial or try any new moisturizers or facial products a few days before to prevent any surprise break outs. On this note, perhaps it is best to make sure your hens’ party is a few weeks before and not the weekend before for similar reasons. Stay off the orange spray tan and watch out for huge false lashes if you aren’t used to them as I have found people tend to blink ALOT with all that extra weight. Don’t go mad with Rescue or similar products as they can render some undesirable side effects. Have a music system set up with all your favorite vibey tunes to get you in the mood and ease the nerves! Drink lots of water and get a good nights rest before the wedding so that you are looking radiant. A relaxing massage in the morning will have you as right as rain!!! I would advise having a trial run with your hair and make up people so that they know exactly what you want. Go with a professional who will give you a style which will bring out your best features. Make sure your photographer arrives at the place where you are getting ready at least an hour to an hour and a half before you are due to leave for the service (I like to get there 2 hours before). These two hours give me time to photograph any bridal details if this is required, some informal photo documentary style pics of everyone involved, pics of the bride getting into her dress, as well as some lovely portraits. 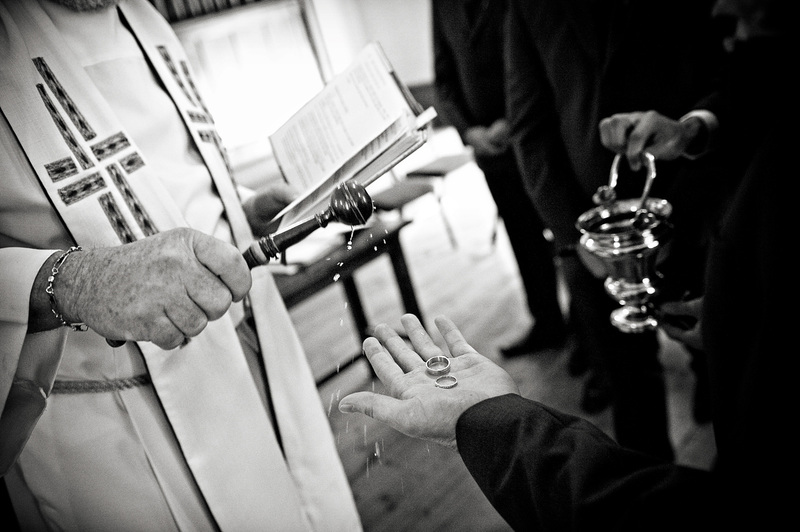 Once that is all done I will still have time to get to the service before the bride arrives. If you would like your bridal details photographed (dress, shoes, bouquet etc) I would advise that you have them all ready for your photographers so they can get on with their job whilst you are busy preening. Remember that it’s all about priorities. Would you like photos of your humans or photos of your shoes? Some brides spent a year to save up for their fancy heels others would rather have pictures of their friends. If your photographer is taking pictures of your perfume they aren’t capturing the moments that are happening. 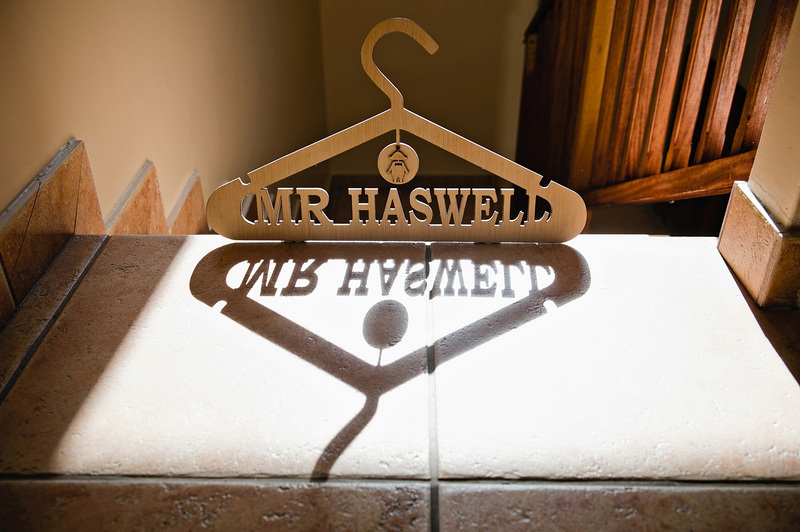 Hang your dress and the bridesmaid’s dressers on nice hangers. Those cheap plastic ones aren’t the best for pics! Now here is an important one!! Brides, please be strict with your hair and make up people. In my experience, they SO OFTEN seem to run over time and it just adds unnecessary stress. I would advise that all your hair and make up is done at least one and a half hours before the photographer has to leave for the service. 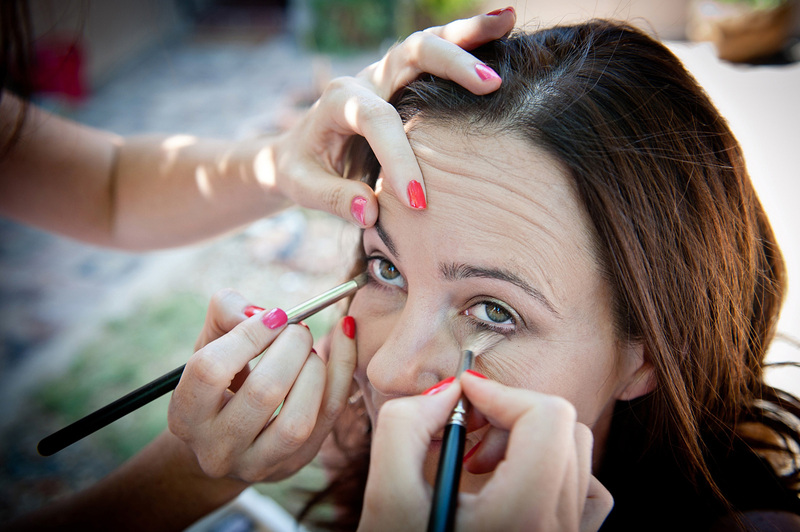 I am sure you would rather have all your bridal prep shots done when you actually have make-up on so that you are looking your best in your photos. By having everyone’s face and hair ready early it also means so that you can have some lovely shots of yourself getting into your dress with all the bridesmaids dressed and looking hot. Once you are all fluffed up in your gown there will be time to take some great pics of you and your bridesmaids without all the stress of running late!!! 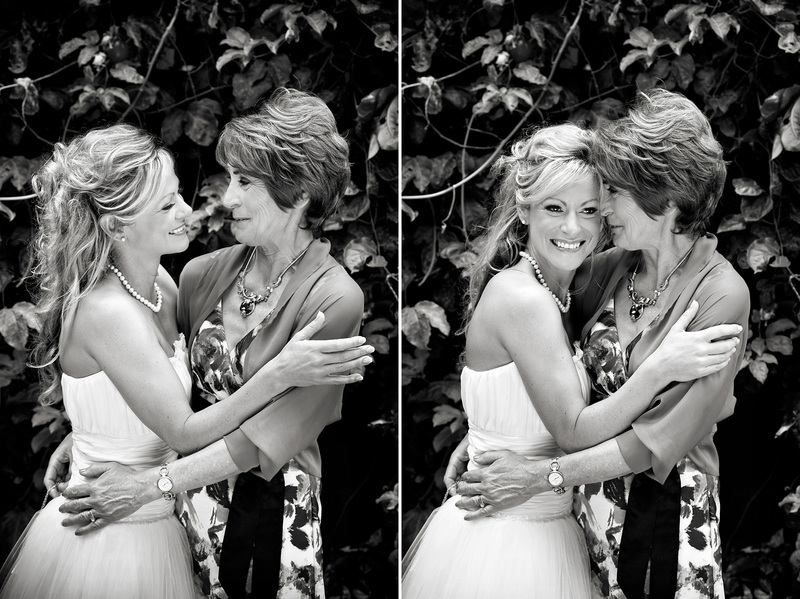 If you would like a special portrait with your Mom this is a good time to do it. 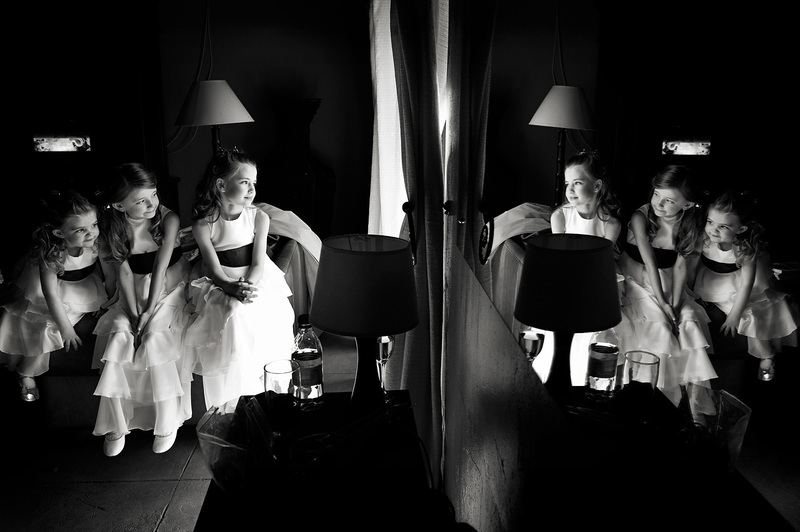 If you are having little ones in the bridal party, its best that they don’t get ready with you and only come in at the last minute as kids get very bored and can play up if they have to wait around! The more portraits you get done in the morning the less there will be to do during your afternoon shoot. The creative shoot is generally at the end of the day when the light is dwindling and you really want those precious sun rays for you and your new husband and you don’t want to leave your guests for hours either!!! I prefer to arrive at the ceremony venue at least twenty minutes before so I can take some photos of the guest arriving and the emotion that comes with all the greetings, the nervous groom, the groom’s family etc. Not all photographers do this, and it does mean that you will have to plan your timings really well. This is part of the reason why I always ask brides to have their hair and make-up done at least 2 hours before the ceremony. I have already said this but I will say it again. When choosing the time for your ceremony you really just look at what time the sun goes down at that time of year. There is nothing worse than having to rush your whole day to chase the last of the sun’s rays for your portrait session. Some of the most real pics are during all the congratulations after the ceremony, and this isn’t something that should be rushed. Make sure you factor in time for this. Good advice is to ask your minister to announce what is going to happen after the ceremony so that everyone knows where they stand. 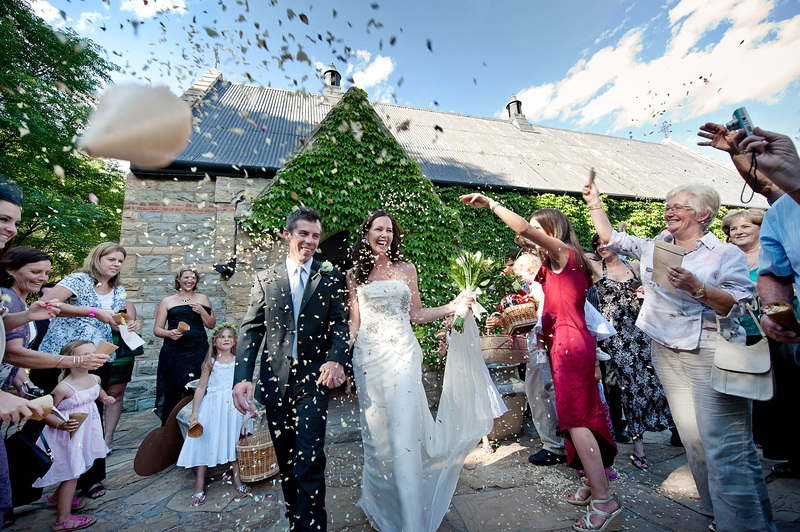 It’s also a good idea to get your guests to leave the church before you do so that when you come out of the church everyone can throw confetti which makes for a great shot. Remember to have a back-up plan in case of bad weather ……. The family pics are always the bane of every photographer’s life when it comes to wedding photography. I know I know ….. that sounds terrible, but let’s be real here, trying to get together a whole load of people who would rather be drinking beer or chatting to relatives they haven’t seen in ages is like herding cats! And if you do the family shots after the service, which is the norm, then you are losing valuable light for your special creative shoot. 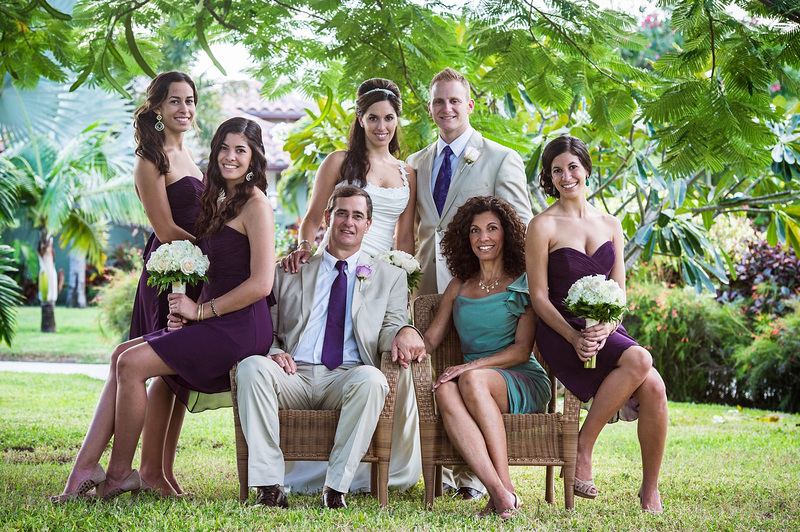 At the same time wedding family pics are super important as weddings are a time when everyone comes together. In my experience you need to sit down and make a list of which pics you would like with which people. The best idea is to only photograph immediate family after the service. 8-10 pics should be ample. A shady area is best for this to prevent people squinting into the sun. A good idea is to appoint an EXTREMELY bossy person in charge of the family list to ensure it all gets done. Your photographer is not going to know who everyone is and needs to concentrate on technical detail. 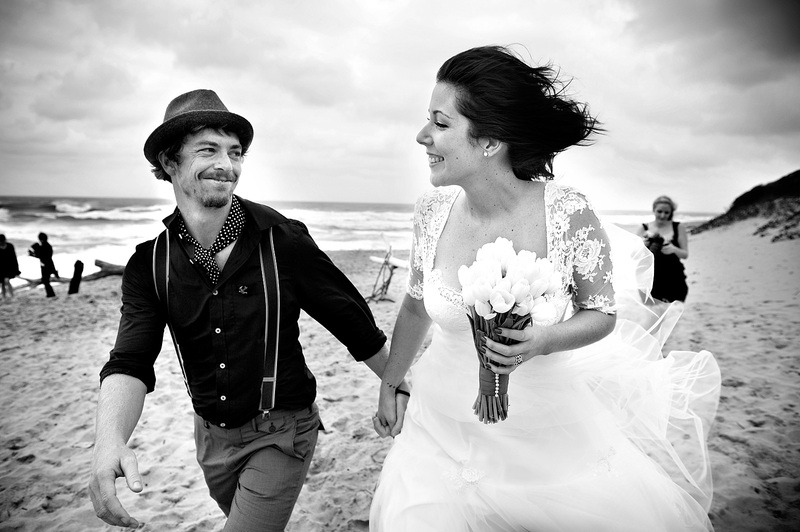 Ensure that everyone knows what is happening and where to go for photos before the wedding day. You need to think what is important to you and plan your day accordingly. What are the photos you would really like in your album? Remember you can always take pics of second cousins etc at the reception. Also consider how long you want to be away from your guests for and what you can realistically get done in that time. One nice idea for family shots is to get everyone sitting on a couch outside or an old log or rocks with a nice background or somewhere interesting so that they don’t land up looking like those stiff school pics we all have hiding somewhere. Remember to factor in travel time if there is going to be travel. Make sure your photographer does a location scout of your venue beforehand.In my opinion it is best to do a creative shoot in a few spots rather than rushing around to too many locations. 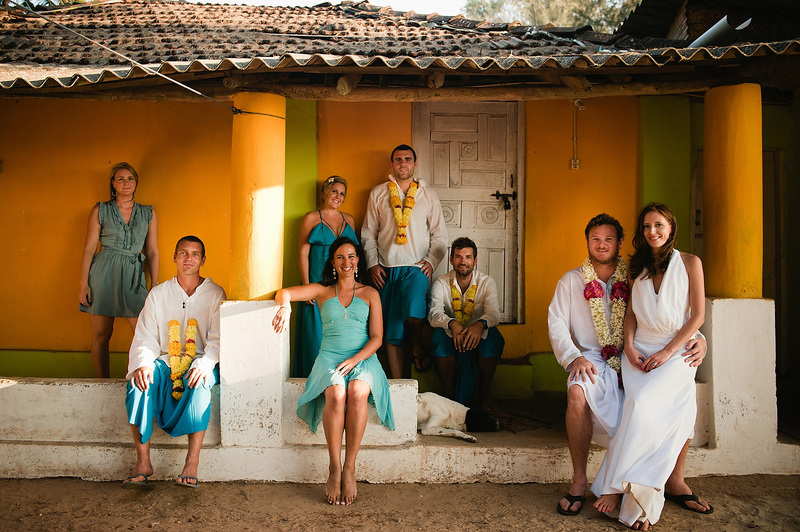 During the creative shoot, I start off with photographing the whole bridal party (i.e. couple plus bridesmaids and groomsmen) and once that is done I send them back to the venue so you don’t have an audience watching you. Make sure there are enough cars if these are required. 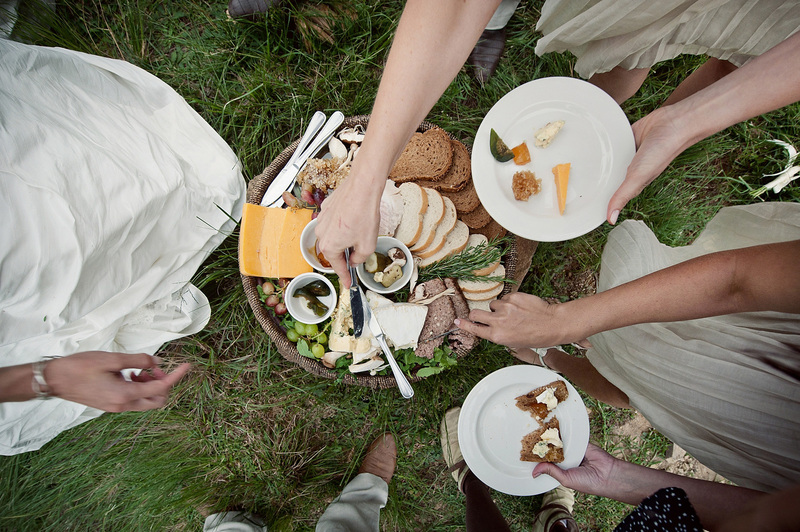 Organise a picnic basket with delicious food, beers for the boys and bubbles for the girls. Spoil them, they deserve it! Hopefully you would have had a chance to take lots of pics of them in the morning so you can spend more time on the couples shoot. Most people aren’t natural models so having an engagement session with your photographer really helps on your big day. You will all be better acquainted with each other and will be far more used to being natural in front of a camera. Organise a sheet to sit on (or in the case below … lie on!) and a pair of comfy shoes as your photographer may ask you to walk a bit to get the perfect shot or sit on the ground. Take a make-up bag along for touch ups. Have fun!!!! Be romantic, have fun, laugh, kiss a lot but be yourselves! The more natural you are the better pics you will get. 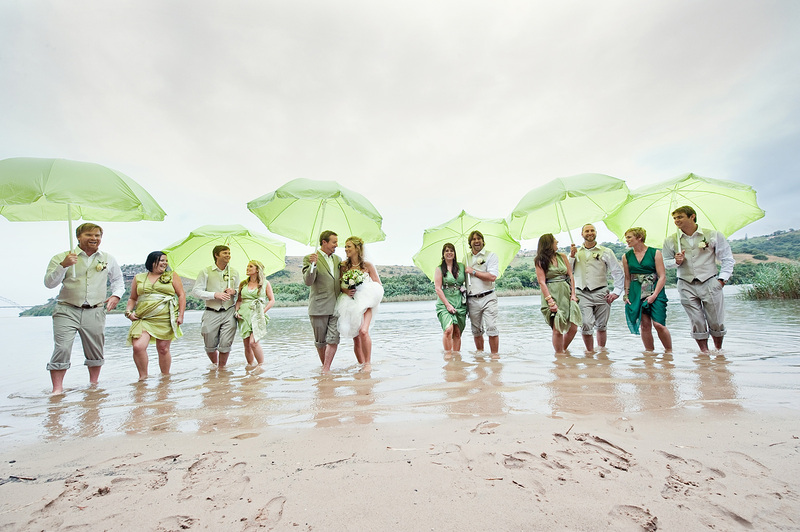 Make sure you check out the weather report before your big day, and if it looks rain, buy some great umbrellas. 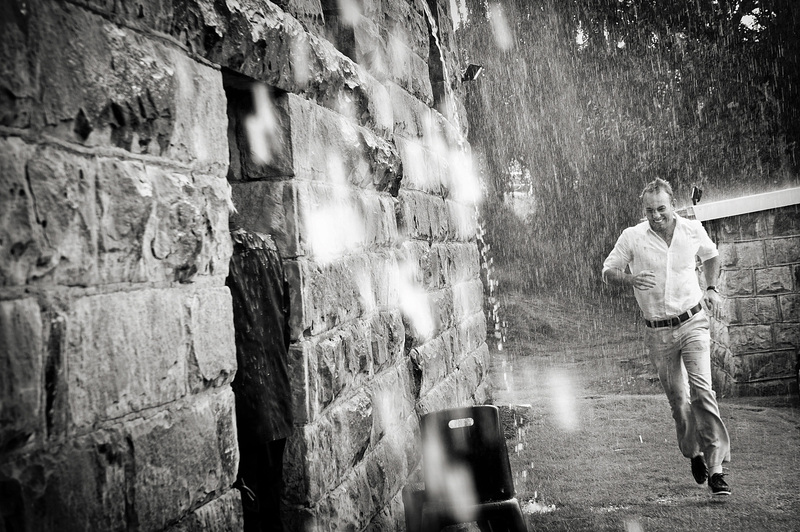 One thing you cannot control is the weather so it’s best to just embrace it and dance in the rain if need be! This is your time to have fun, let your hair down and enjoy. 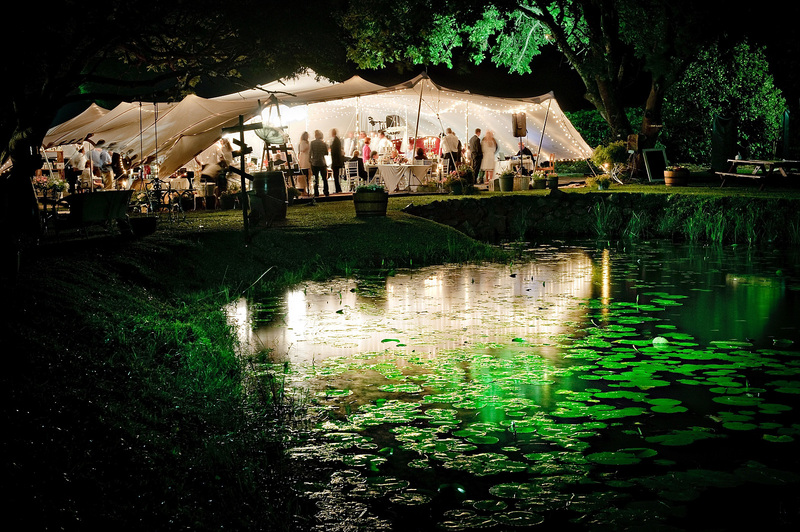 Just a few more little things – venues with lots of ambient light always look nicer in pics. Fairy lights and lanterns make for great sparkles in the background. Candle light is not usually enough. Table pics are like so 90’s. Photo booths are a much more fun way. Ask your photographer if they provide this service like we do. It is best to get all the formalities out of the way so that everyone can relax and have fun. If you run over schedule photographers will have to charge for extra time so bear that in mind. Ask the DJ or MC to do a count down for bouquet throwing or garter throwing so the photographer can make sure he or she gets the shot. LAST BUT NOT LEAST, HAVE A WONDERFUL WEDDING DAY AND REMEMBER THAT YOUR DAY IS NOT JUST ABOUT THE PICTURES IT IS ABOUT MARRYING THE PARTNER OF YOUR DREAMS AND CELEBRATING THIS WITH YOUR LOVED ONES! EXCELLENT JACKI. This is just so great for future Brides & Grooms. You could not have put up a better Blog than this one. Hope you get lots more work from this Blog. So well written and great shots to go with it. This must have taken ages to put together! well done. Thank you! Great advice! 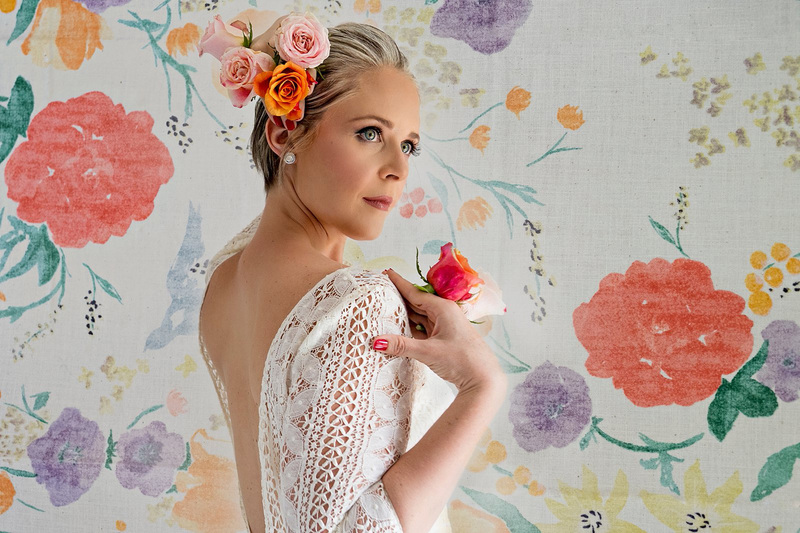 I found your site through Kirsten Mavric Photography, a favorite of mine, but you do FABULOUS work as well! Awesome advice and love the shots to illustrate your points! Absolutely brilliant! Fantastic advice – plan, plan, plan!! Have a timetable of the day’s events, make sure the photographer has a copy and appoint someone VERY BOSSY to make sure this is strictly adhered to! That way the bride and groom can relax and enjoy their special day confident that everything will be taken care of. Wow Thanks Jacki! I need that! Thanks Jax …. Ummmm, I think I’m put off now … it all seems WAY TOO HARD!!!! Great blog …. given I have 4 months to go, I might need to start getting organised. All I have is a venue and celebrant booked! Wowzer! That was one thorough post! Thanks so much for sharing. Great tips! Spectacular photographs. Thank you for sharing your amazing talent. Thank you, thank you, thank you!!!!!!! Loving your work! Excellent read. Even though I am not planning on getting married any time soon, this was very informative for me as a wedding photographer. It’s got me re-thinking the way I do things. I look forward to continued reading!!! 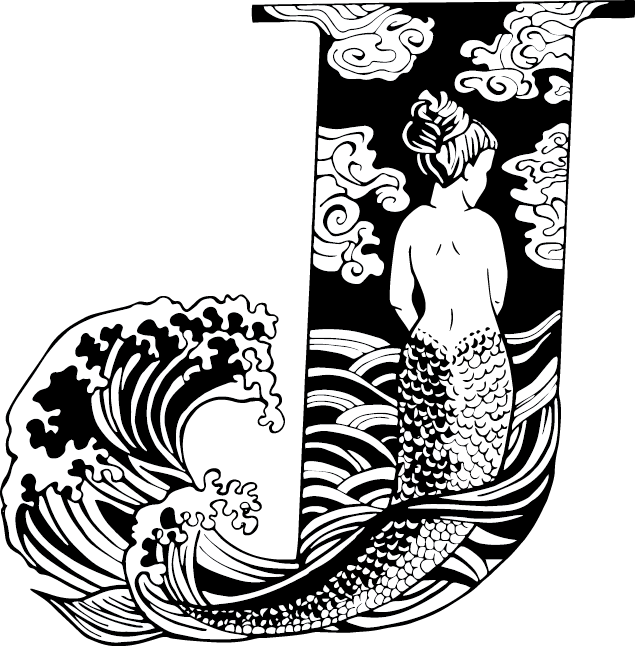 Thanks Jacki, This is an absolutely fantastic blog post.